Kids of all ages LOVE Jeffini - especially on Halloween. 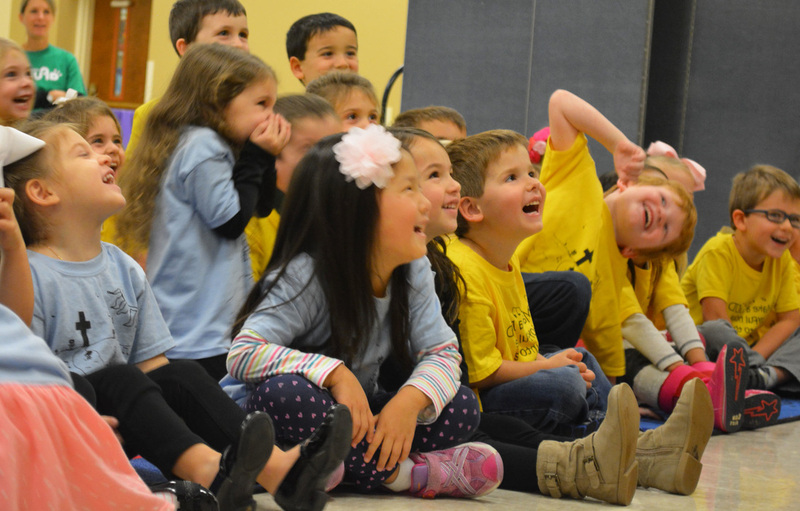 This show is a fun romp through the Halloween holiday with plenty of fun for everyone. 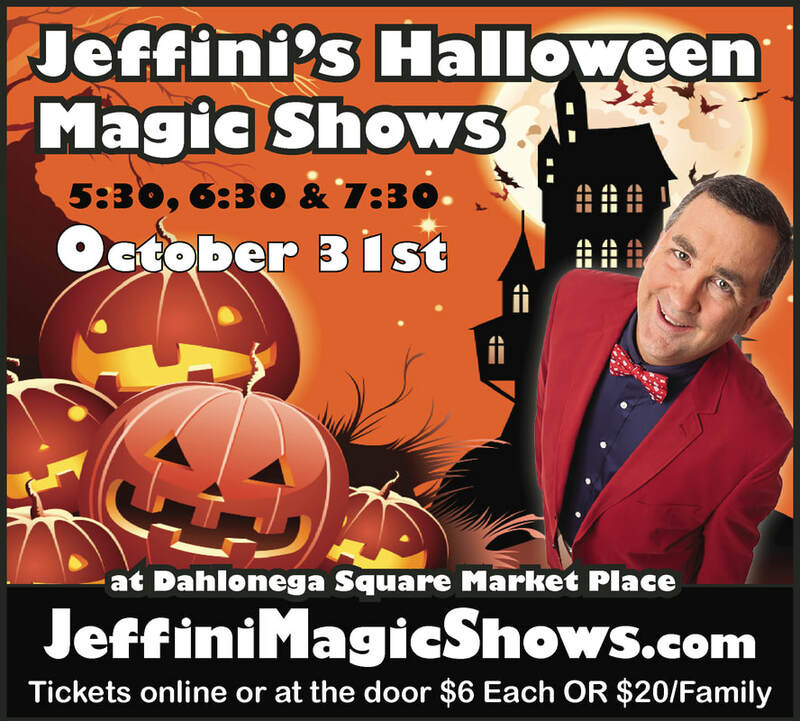 Jeffini has been entertaining as a Halloween Magician for over 30 years. 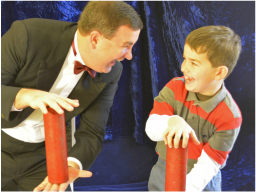 With hilarious magic, puppets, and audience interaction throughout the 30 minute magic show. Limited seating is available, so make sure you purchase your tickets in advance OR come early to buy a ticket for one of the three shows at the door. The doors open 20 minutes before each show. You can buy a ticket now and decide which show to attend when you come... your ticket will get you into any ONE of the shows. No need to decide now... but seating is limited for each show, so make sure to show up early enough to get into the show of your choice. Tickets only cost $6.00 per person OR $20 per family of four (a saving of 20%).